An extended cut of Justice League could be headed to shelves when DC's superhero team-up flick comes to DVD and Blu-ray later this year, if an Amazon Germany posting is anything to go by. In the official listing for a "Limited Edition," Justice League is said to be 135 minuten. You don't even need to speak German to know that translates to 135 minutes - approximately 15 minutes longer than the theatrical cut we got last November. While normally I'd chalk this up to some sort of translation error or misunderstanding, the same Amazon Germany listing reverts back to the theatrical runtime of 121 minutes if you check the "Standard Edition" option. So it would seem that there really is something different about the film itself (and not the extras, which wouldn't be counted) in the Limited Edition. Now, don't go getting any ideas about this being the "Zack Snyder cut" that fans have been petitioning for since the movie's disappointing (if not critically, then certainly commercially) debut. Despite garnering more than 165,000 signatures on a Change.org petition, such a thing (probably) does not currently exist. 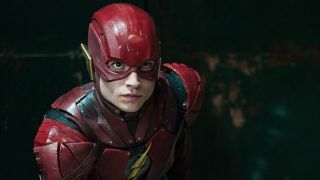 For that to happen, Warner Bros. would have to be willing to sink more money and time into re-editing the material available and adding post-production visual effects to unfinished scenes. Remember, just because a scene was shot doesn't mean it's done. That's pretty unlikely, given that Justice League's domestic box office was roughly $227 million, and worldwide gross was reportedly just over $650 million. Those numbers are nothing to sneeze at, for sure, but it's also in line with Snyder's solo Superman film Man of Steel, and more than $200 million less than what Batman v Superman: Dawn of Justice raked in. Nothing personal against Justice League, but from a business sense, it's not an inspiring return on investment for DC's answer to Marvel's Avengers. While no date has been set for the home version of Justice League, estimates are that it'll arrive digitally in February, physically in March. So hopefully we'll get some clarification on this soon.